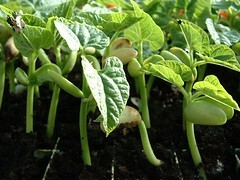 What better way would there be to get fresh, succulent organic vegetables than growing them yourself in your own garden? Picture it: you go out to your garden and there are your favorite vegetables at the peak of perfection and ready to be picked. They have the best flavor, the most beautiful color and man, oh, man are they alive! Just looking at these beauties sparks your desire and creativity for cooking today’s food, all the while knowing that you have the most nutritious, freshest and highest quality food at your fingertips. Organic gardening is certainly a different way of growing things because, as you know, you aren’t going to use chemical pesticides and synthetic fertilizers. All the better for the environment, the soil, and the health of you and your loved ones. But more than that, organic gardening includes restoring your soil so it is healthy and full of minerals, knowing which insects you want and which ones you don’t (and how to get rid of the “don’ts”) and how to recycle organic materials for making compost. For that you might want to look for a good Organic Gardening book. Organic gardening is a lot of fun and it’s a great way to get outdoors and be more physically active now that spring is here and summer is around the corner. I once had an organic garden in which I dug up most of my back yard to build. I made a double-dug garden in a spiral shape which gave me lots and lots of space to plant a very wide variety of vegetables and the spiral made a convenient walkway for us to get around to every plant and care for it. We had tons of food and our grocery bills were way down during those years. Organic gardening is definitely a money saving venture. I also learned a lot about how things grow and why I should love ladybugs even more than I already did. I had, for instance, huge brussel sprout plants. I didn’t even like brussel sprouts until I grew them organically. Mine tasted better than any I had ever been served anywhere. No kidding. I would just pick them fresh, wash them and trim the stem end if necessary. (By the way, it often wasn’t necessary because when you bring in something fresh from your garden, it hasn’t had time to dry out or get tough.) Slice the brussel sprouts in half lengthwise and if they are a little large, slice the stem end vertically just about a quarter of an inch in so it will cook in about the same time as the rest of the sprout. Heat up a heavy pan with some olive oil and throw in the brussel sprouts. Saute them with some sea salt and pepper if you wish and really, any other herb or seasoning you think will be good. I like to add in some crushed garlic because that’s my favorite. When the brussel sprouts are tender but no mushy, they are done. Serve them like they are or garnish them with something toasted such as toasted light or black sesame seeds. Mmmmm! Unfortunately I do not still have that big spiral-shaped garden. But that’s okay if you are like me and don’t even have a back yard! Organic gardening can be done in containers, in a community garden that promotes organic growing practices or, you can grow indoors too! This entry was posted in Food, Gardening, Lifestyle, Recipes and tagged Garden, natural food, Organic, organic food, organic gardening, soil replenishment, Vegetable by mycookinglifebypatty. Bookmark the permalink. Ha Ha! That’s so funny, Danny! My ughy vegetable is beets. Mmmm, you are making me imagine that it will soon be garden-planting time. Not for a month or two though. Such good organic wholesome food comes from our gardens…such a treat. Thank you, Patty. Yes, even here in NM we have to be sure there won’t be one more frost! What things do you like to grow, Kathy, and is there anything about organic gardening that you’d like to know more about? We’ve been growing organic foods for at least 20 years. Tomatoes, broccoli, cilantro, carrots, basil, peas, beans…lots of other stuff. Next time I’m stumped I will turn to you first! Thanks emmycooks! Hope you’re last frost is over with.